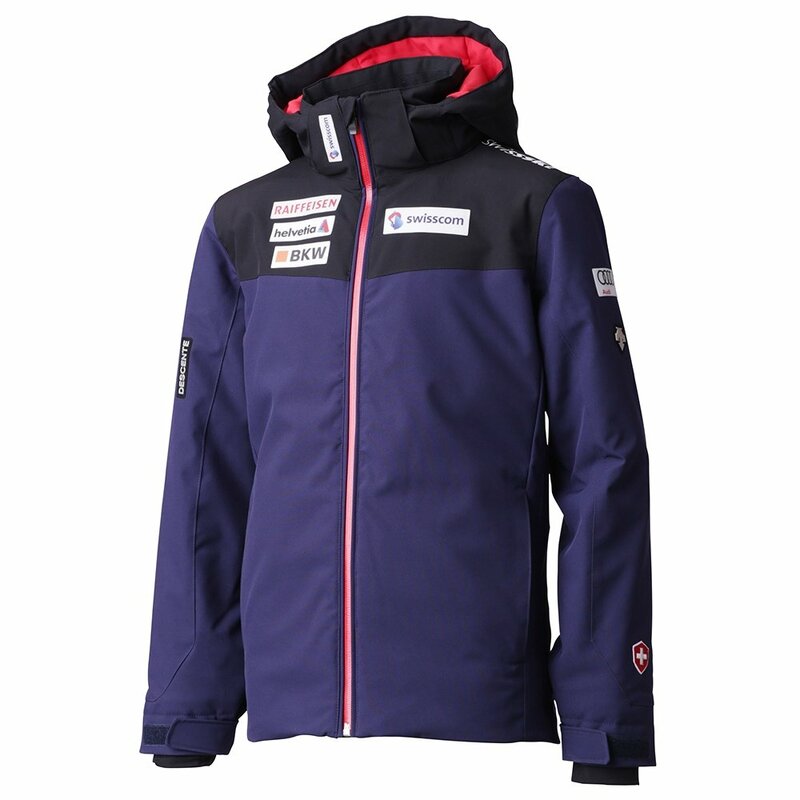 Have him show a little deference to the history of the sport in the Descente Swiss Ski Replica Insulated Ski Jacket. Bringing the unfettered athletic performance and sponsored look of a race jacket, this piece is built from 20K waterproof-breathable stretch fabric. Coupled with a Motion 3D™ Fit, this fabric guarantees competition-level motion and finesse. A powder skirt, wrist and waist adjusters, Lycra® cuffs and a waterproof front zipper fully seal weather out. Sponsor logo patches make him feel like part of the team so whether he's actively competing or just having fun, he'll be at the top of his sport.